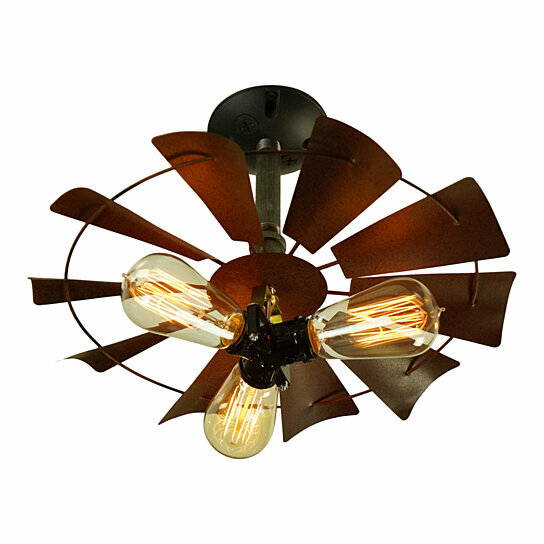 A striking creation, this 3-light pendant decorative fan style light offers an industrial iron frame with angular appeal. while leaving the bulbs (not included) exposed, adding to that industrial vibe you love so much. This product usually ships in 6 business days and should be delivered in 15 business days.